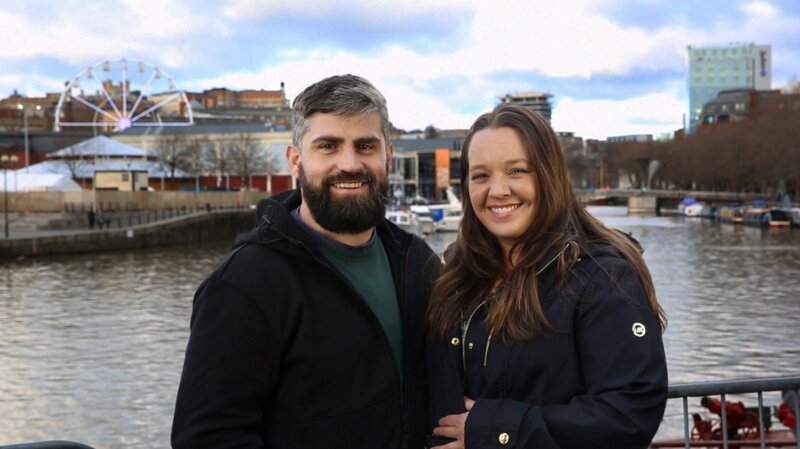 Rachel, 33, and Jon, 34, have dedicated the last year to saving money so they can begin the visa process and eventually reunite their family, and the couple has revealed they've finally saved enough dough to get the ball rolling! Jon and Rachel announced their big news on their joint Instagram account this week. "Jon and Rachel saved $11,000 in 51 weeks, one week before their deadline. The visa process can now start," a statement read. The couple captioned their post, "We did it." Jon and Rachel were first introduced to fans on Season 2 of 90 Day Fiance: Before the 90 Days. The pair met for the first time in England in late 2017 after getting to know each other over the phone and video chat for a year-and-a-half. In October 2018, Rachel told blogger John Yates on Instagram Live she and Jon were working very hard to save the money for a K-3 or immigrant visa processing. "I think if we weren't doing this with a lawyer, it would be a lot cheaper. But we don't want to do something wrong or miss something... and have then deny us," Rachel explained. Rachel and Jon's fans attempted to help the couple when they were struggling financially by setting up two separate GoFundMe pages to raise money; however, the pages were removed from the Internet hours later. "Yeah, we did ask them to take it down. Basically, people are pretty much throwing money at us... It is really touching that people want to do this, but it feels wrong going on TV and then saying, 'Okay, now can we have your money?' with nothing in return," Rachel explained in her interview with Yates. "I feel like if anyone wants to do something for us, we just don't want to just take it, say thanks, and never speak to you again." But the reality TV stars subsequently heard about the Cameo app, which allows fans to request personalized video messages from their favorite celebrities in exchange for a fee. For example, Rachel will wish someone in particular a happy birthday and receive $30 for the video. Now that Rachel and Jon are married and have enough money in the bank, they can begin the visa process and hire a lawyer to help them fight their case. An attorney reportedly advised the pair on 90 Day Fiance: Before the 90 Days the process could take up to three years to complete, but Jon would get one step closer to a green card every day.